Love the styling of this bike. I find this from a Facebook page. I love the headlights and the body contour. Now Honda is talking. This is far thicker than the Honda Beat. With Its astounding Headlights. 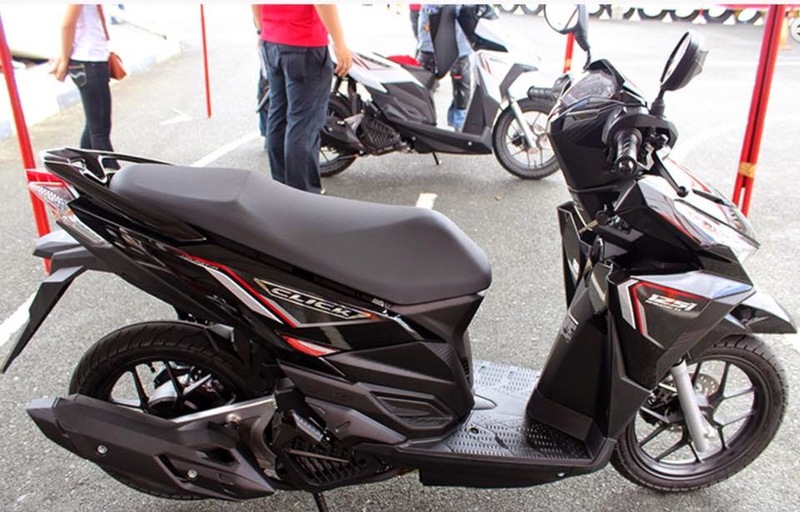 I think this is a win win situation if I will be choosing another scooter.The shape of the seat looks like the Piaggio GMAX which is comfortable for long rides. With its FI engine you don't have to worry traversing long roads and going up hill. With an SRP of PHP 89000. Here below is a photo from Honda Philippines during their Mall Tour in Trinoma. And what's more with this Scooter??? Normally, once you start an engine, it continues to consume fuel until you switch it off. In other words, it burns gas unnecessarily at traffic lights and other brief stops. The Idling Stop System automatically switches the engine off at traffic lights and other brief stops, eliminating wasteful fuel consumption. This website link will explain to you why this Scooter is a superb Gas saving scooter for everyone!